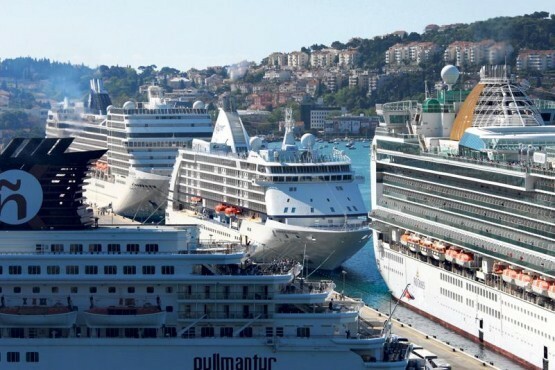 Ten thousand tourists, from five cruisers, are today in Dubrovnik, especially Old Town, which makes this day the very first crowded day of the cruise season. That is quite a shock for our town, especially since it is the Feast of Corpus Christi, hence, non working day in Croatia, so everybody is outside on this beautiful day. ‘Since Dubrovnik as a cruise destination has limited carrying capacity, we have decided to limit the number of cruise ship passengers per day in the aim of securing a pleasurable and memorable high quality stay at the destination’ says Port of Dubrovnik, and here you can check the complete Cruise Ship Arrivals to Dubrovnik.